Arguably the most revered movie star of all time. 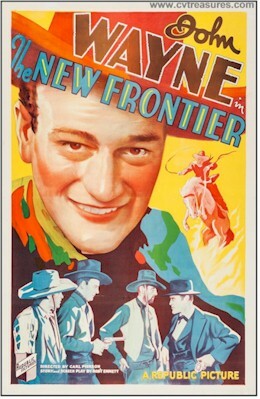 Check out our latest extraordinary John Wayne vintage finds below! Check out the online biography of this Hollywood legend. Quite interesting facts you have never known before. 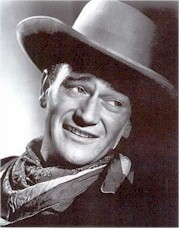 WARNING: Be very cautious when considering buying autographs of icons like John Wayne from anonymous sellers on Ebay. It is estimated as high as 95% of all autographs on Ebay are fake (even higher for the more valuable finds like John Wayne). The opportunity to sell under an anonymous name makes it very enticing to unscrupulous sellers. We have been collecting vintage autographs for over 25 years and stand behind everything we sell with a Lifetime Guarantee of Authenticity. John Wayne Autographed Photo RARE Football Shot!